This book tells the story of three small Lancashire villages and their contrasting fortunes in the Great War. 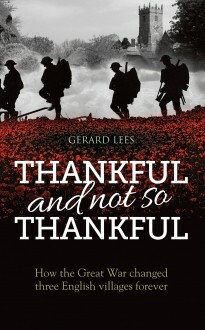 One was among the fortunate few in England which passed through not only the First World War but the Second without losing a single man – a ‘Doubly Thankful’ village. The second survived the conflict almost without loss, while the third lost a harrowing total of ten young men from its tiny population. The stories of these villages and the triumphs and tragedies war brought to them have been painstakingly researched by the author, who has painted compassionate portraits of some of the men who returned, and some of those who did not. A fascinating historical adventure.